With all due respect to Angus Young, Rowland S. Howard and Steve Lucas, The Coloured Balls' Lobby Loyde might be the most important Australian rock guitarist of his generation or any other. 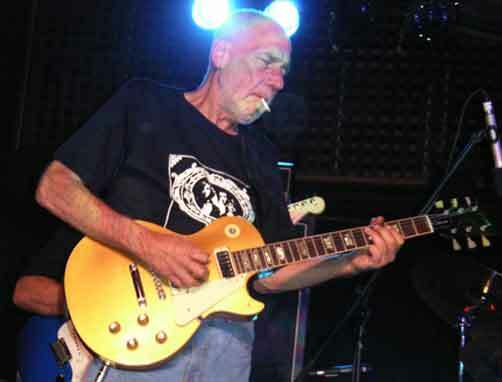 Loyde passed away Saturday after a struggle with lung cancer — he's capabaly eulogized at WFMU's Beware Of The Blog by Brian Turner. Starting off in 1963 with various combos including the Stilletos, Purple Hearts, Wild Cherries, and Thorpe's early Aztecs, Lobby took his amazing guitar playing through many phases from straightforward R&B through acid psych and spacerock soundtracks and schooled countless countrymen for years to come. wow, I know how much of an influence he was on stephen malkmus. now I really wanna hear the coloured balls. Next Next post: Welcome Home, Jennifer O’Connor!